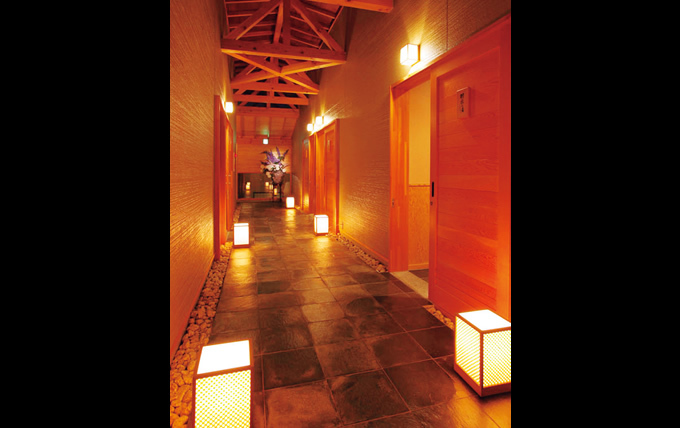 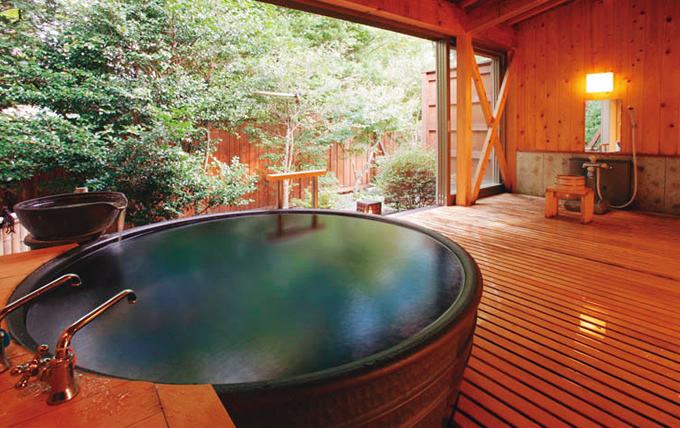 Home > Spa & Relaxation > Chartered open-air bath "Kakulenbo"
Taketori "Ki To Ishi No Yu"
There are five chartered open-air baths in this hotel. 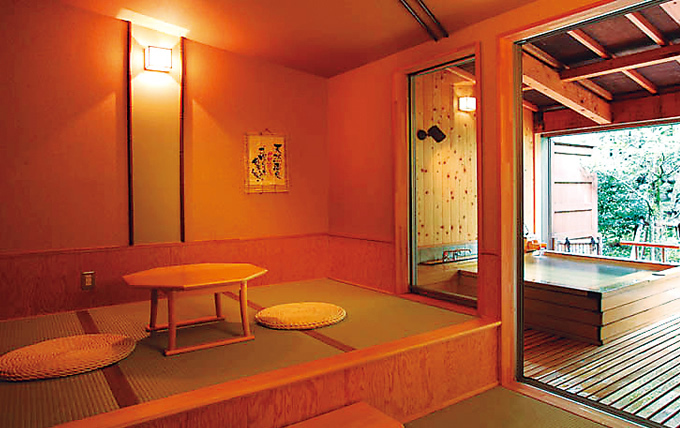 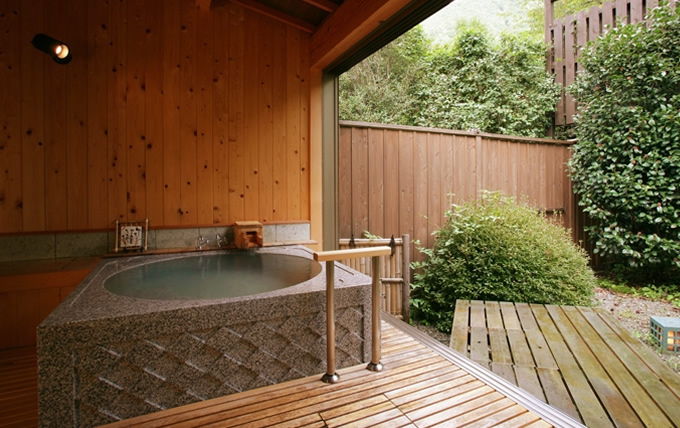 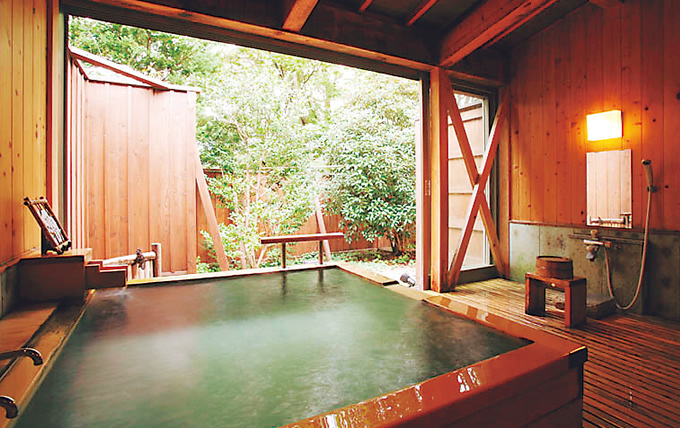 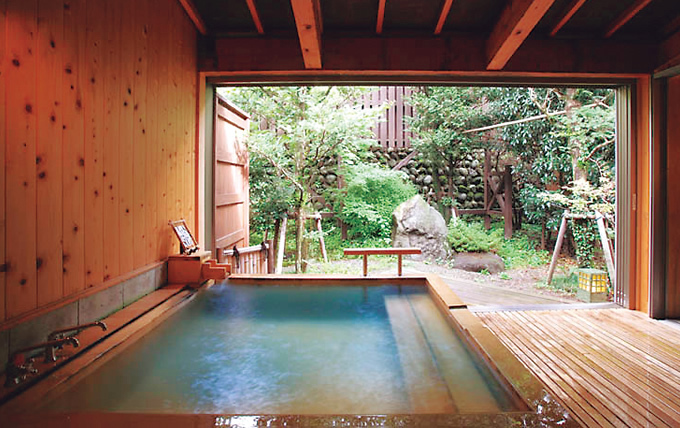 In all the baths, natural hot spring flows constantly, but taste of each bath is diversified, and each pool is given different name: for example, "Kozuchi" that was made by hollowing out a rock; or "Ryugu" using cypress. 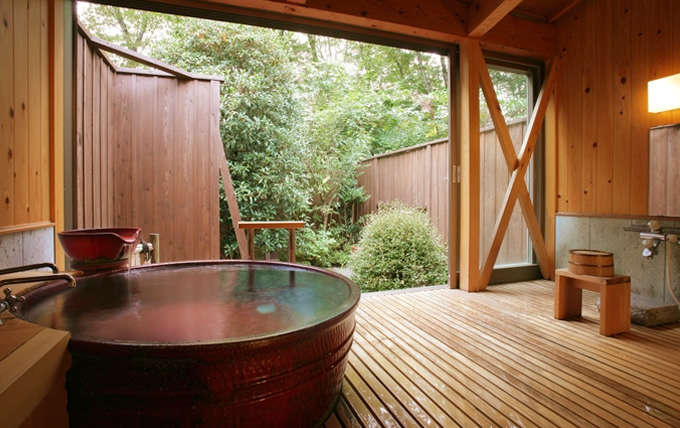 Feeling the season of the year by seeing cherry blossom in spring or red flower of camellia in winter in borrowed landscape, or by hearing a song of a bush warbler in the great nature, the guest can freely enjoy the time of pleasure on himself or herself, or with family or friends.